Norman Petty may seem to have been an illogical figure to pioneer early rock and roll music, but so many early ‘movers and shakers’ seemed any more likely. Sam Phillips, the Chess brothers, brother and sister team Jim Stewart and Estelle Axton (Stax Records), Florence Greenberg (Scepter Records) and really even visionary DJ Alan Freed probably would not have been selected from a line-up of “these guys/gals are going to give us rock and roll” candidates. But so was the nature of the adventure. The possibilities were endless; the sky was the limit, there was gold in them-there turntables to be had. And so in an out-of-the-way southwestern lazy New Mexican town, Norman Petty would take his place in the rock and roll legacy. Norman Petty was born in May of 1927 in Clovis, New Mexico very close to the Texas border. His first group was “The Norm Petty Trio” where he was joined by his wife Vi along with guitar play Jack Vaughn. The trio scored a respectable hit with their 1954 “Mood Indigo” which was initially released on Petty’s “Nor-Va-Jak” label named for the Trio. “Mood Indigo” was the designated “B” side of the record, but started receiving air-play and sold enough copies to permit Norman to expand what would become his famous Clovis studio. The Trio did land on the Billboard charts twice – first with their early 1957 recording of “Almost Paradise” (number 56) and later that year with “The First Kiss” (#81). A realist, Petty knew that his fortunes would probably not rest with the talents of “The Norman Petty Trio” and so turned his attention to producing, sometimes composing and releasing records – most notably some of the best rock and roll ever! Buddy Holly’s legacy is well-documented accompanied by Norman Petty as producer, sometimes co-composer, sometimes participating musician but during the Holly/Cricket era and well beyond, Petty was simply a very busy guy. Visit the Nor-Va-Jak Music Productions Web Site where you can learn more about the Norman Petty history, purchase CD’s and Vinyl! “American Mercury” were from Colorado Springs who were also known as “The Livin’ Ends”. They recorded three unreleased tracks at Clovis: “Keep on Runnin’, “Momma, Gotta Help Me” and “Hippie’s Lament” all recorded on October 15th, 1969. 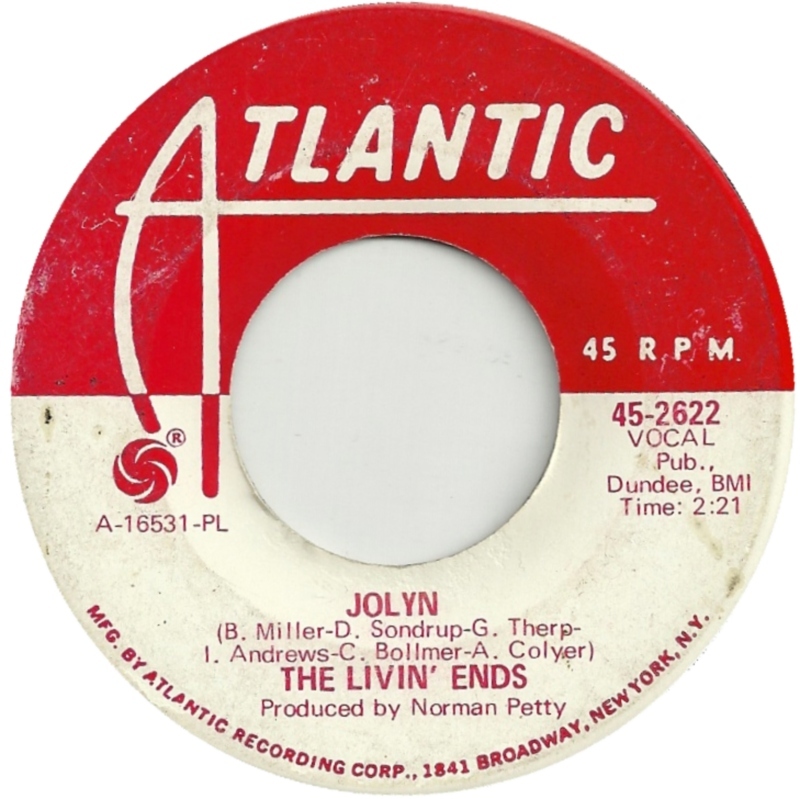 The Livin’ Ends from Denver recorded in Clovis in January of 1969 and again the following month. Members included David Sondrup, Irving Andrews, Greg Therp, Bob Miller, Art Colyer and Craig Vollmer. “Beast” was a group that included future Sugarloaf member Bob Yeazel (deceased) and Ken Passarelli who went on to play with Joe Walsh and Barnstorm as well as with Hall and Oates, Dan Fogelberg and Stephen Stills. They made several trips to the Petty studios starting in late 1968 into 1970. They recorded all the tracks for both their”Beast” LP on the Cotillion label as well as their “Higher and Higher” LP which was released in the summer of 1970 on the Evolution label. A single was released on Evolution with “Move Mountain (You’ve Got It)” b/w “Communication” both recorded in 1970. Two tracks from those sessions went unreleased “Itchin'” and “Take It And See”. Kerns (sax), Bruce Brown (bass), Dean Dietz (vocals), Dana Messing (keyboards), Don Wierman (guitar) and Mike Schmidt (drums). The Beast 2 Sessions in Clovis occurred in a couple of 1972 sessions – with all tracks going unreleased. Recordings which were targeted for an LP which didn’t come to pass were “Lease on Life”, “It Makes Me Feel Good”, “Velvet Flute”, “Lookin’ For a Way”, “Nica’s Dream”, “Entrance”, “Illusions R”, “Berkeley Lady”, and “Keep It All To Yourself”. 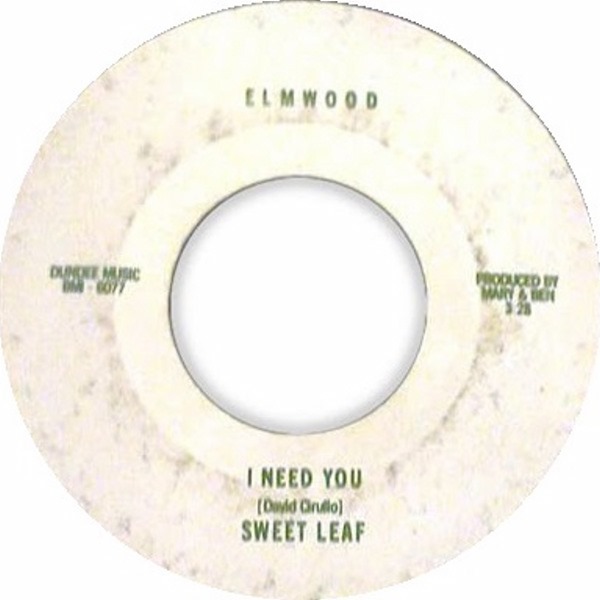 The group returned to Clovis in early 1973 and recorded three tracks none of which were released: “Acapulco Gold”, “Lose Your Mind” and “Waiting to Be Found”. The Monocles were from Greeley, Colorado. They did release a couple of singles one on the “Denco” Record label and another with “Chicory” signed by Frank Slay. “The Colorado Sunshine Company” started off as a duo with Linda Rinaldo and Arden Fennell. Arden had earlier been a member of “The Tryb” and “The Sixth Edition” both both Colorado based bands (see next entries). Fennell also had a single released on from a solo session in Clovis (see next entry). Renaldo would maintain the group name recording a couple of LP’s along with Charley Butler and others in the 1970’s without Arden. 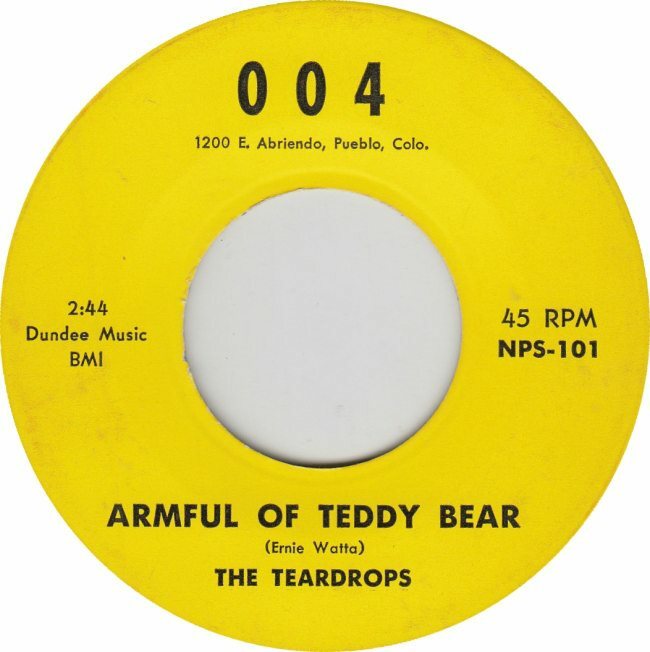 Arden who was from Sterling, Colorado, was a busy guy being a member of “The Tryb”, “The Sixth Edition” and “Colorado Sunshine” – all having recorded in Clovis, New Mexico at the Norman Petty Studio in the later 1960’s and early 1970’s. He cut two solo tracks in 1969 which were released on Evolution 1017 “Baby” and “Smile a Little Smile”. The composers of “Baby” were George and Barbara Tomsco – George was a member of “The Fireballs” and he had composed The Fireballs “Goin’ Away” a track which Fennell would also record in Clovis. “Why Did I Wanna Be Free”, “Warm Alberta Rain”, “Goin’ Away”, “We Once Had It All”, “Times Before”, “Cheated”, “In Chicago”, “Thank You Girl”, “Dreams in a Boxcar”, “Just As Though You Were Never There”, “The Hour Glass”, “I’m Gonna Love You Too”, “Look at Me” and “Rave On” – in sessions ranging from 1969 through 1978. Members included Sam Haugland, Arden Fennell (from “The Tryb” and later “The Colorado Sunshine Company”), John Kerns, and Cass Vickers. 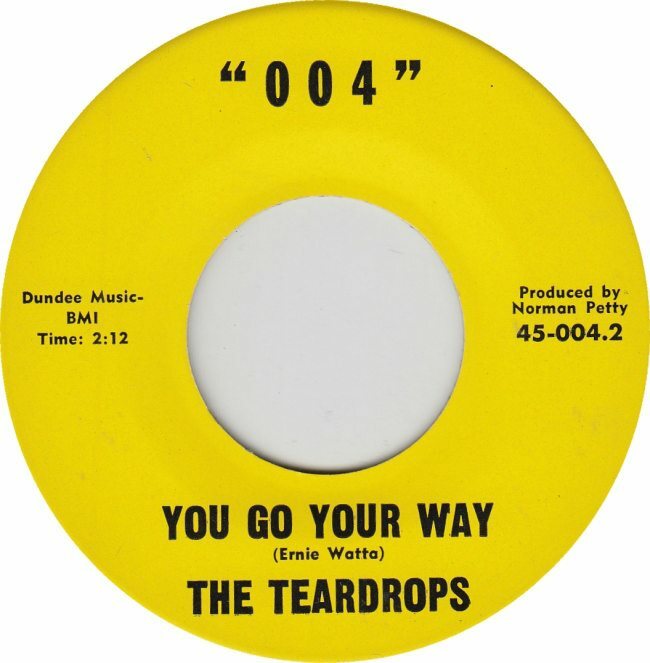 They made the journey to Clovis in the Spring of 1967 recording two tracks which did not find their way onto vinyl: “Beggar Man” and “Still in Love With You Baby”. 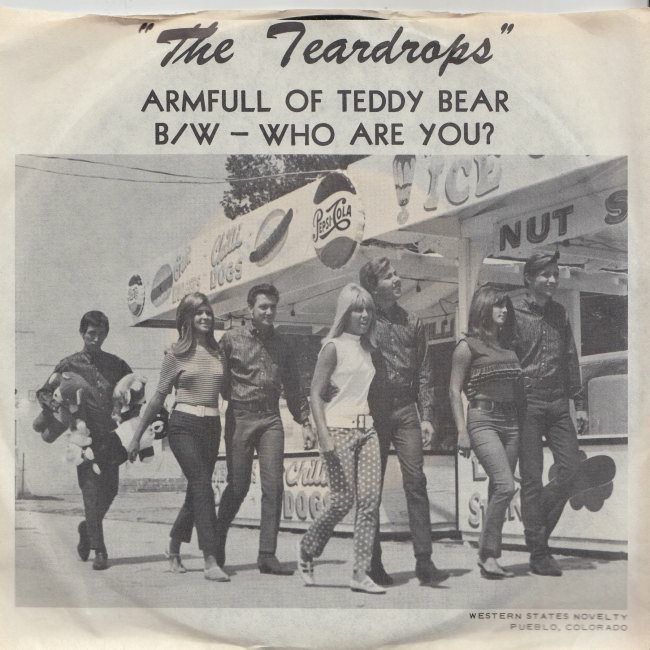 “The Tryb” were yet another Arden Fennell fronted group formed in 1965 with Jerry Lawson, Ralph Gonzalez, Bill Shuster, brother Leroy Shuster and Tim Rock. They worked with Petty in the summer of 1965 recording “Maybe Baby” and “No Time to Lose” – Both went unreleased. These guys were from Loveland, Colorado and were formerly called “The Sixth Edition” (see entry above). “In Chicago, Widow Jones, Love Everybody, That’s My Song Reflections Of Mine, L.B. Kingston, You Sure Took Me By Surprise and By Myself” – Recorded in two sessions first in June of 1968 the second in August of 1968. 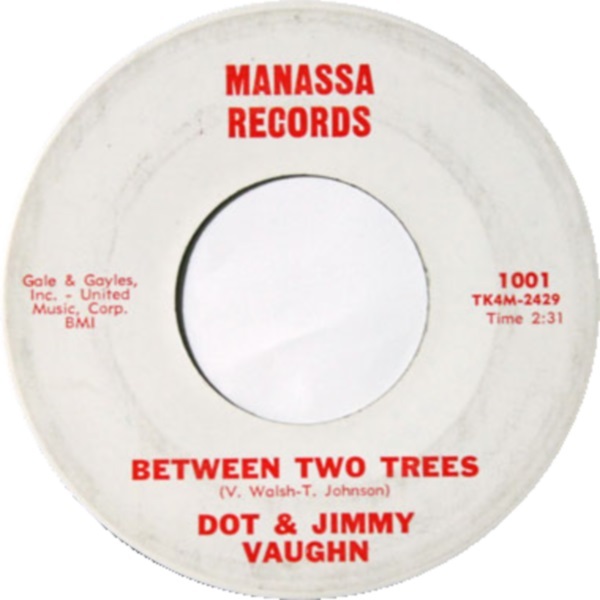 Vaughn first recorded in Clovis in 1973 cutting the unreleased “She’s Just a Woman”, “Valentine”, and “Winter Lady”. He returned to Clovis in 1976 to record his “Wanted” long play which was released on It’s Just Country Records. 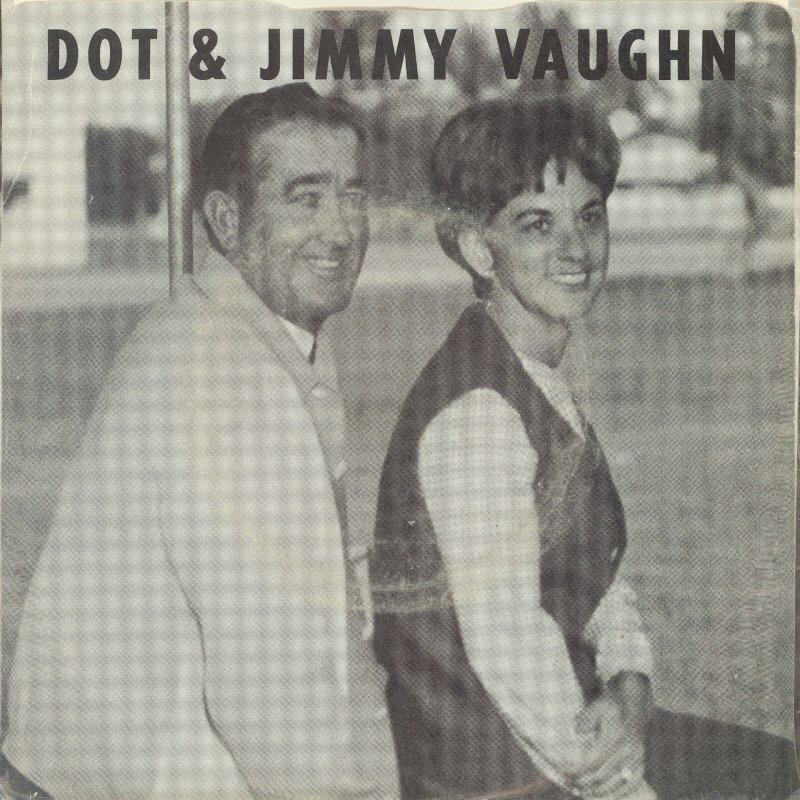 Vaughn would cut several additional tracks in Clovis which did find their way onto vinyl including “She’s Just a Woman” b/w “Tell You in the Morning”, “Change of Heart” b/w “Barn Dance” on It’s Just Country Records 2049, and “Barn Dance” b/w “Simple Things” It’s Just Country Records 102. He had two additional unreleased tracks “Country Moods” and “City of Fame”. All of the above were recorded with Norman Petty in 1976. 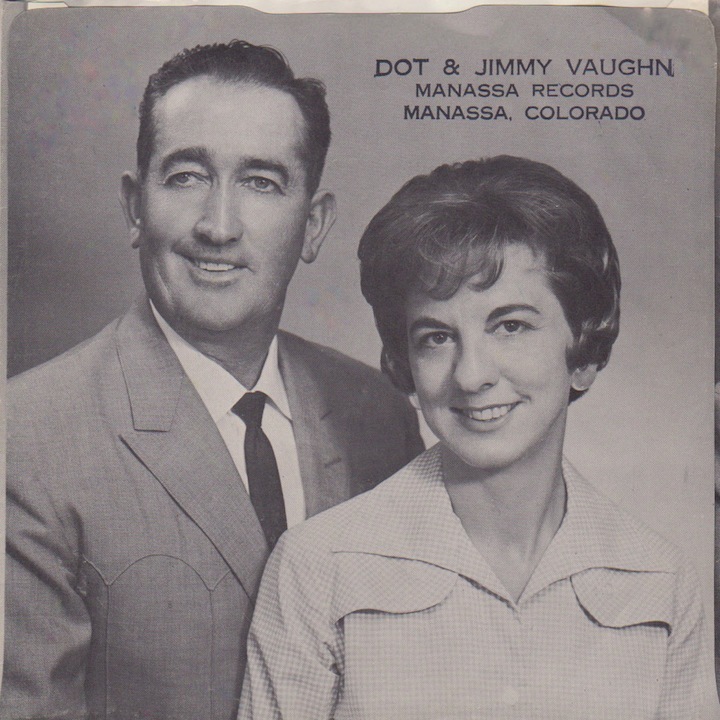 Dot and Jimmy Vaughn were from the southern central area of Colorado, home of the heavy weight champion of the world, Jack Dempsey. The couple’s actual name was Jimmy and Dot Soward. The couple had connections to Norman Petty in New Mexico and traveled there on at least two occasions to work with Petty. 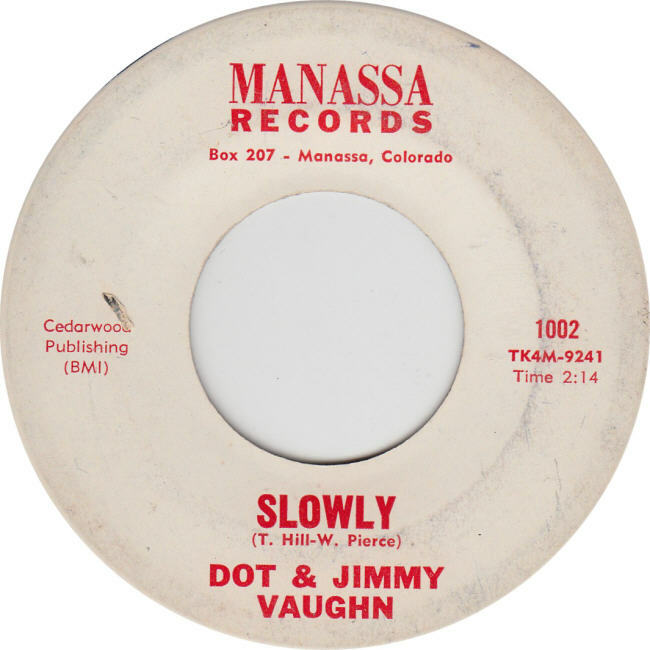 LP – KLR 4346 – “Dot & Jimmy Vaughn” – recorded in 1970 and released in early 1971. 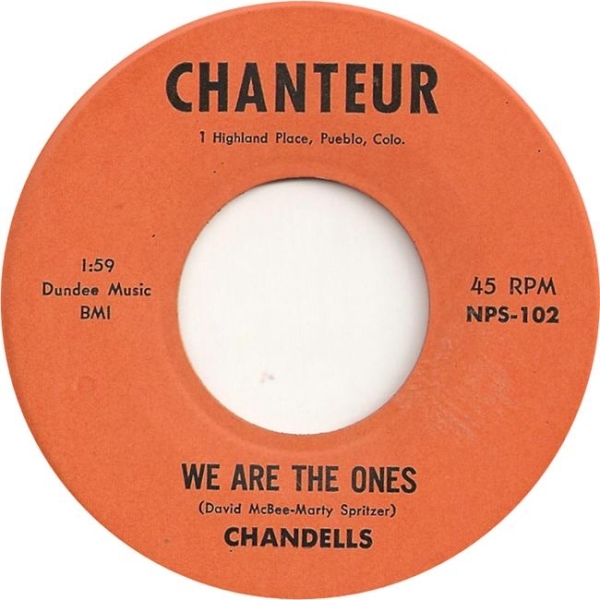 The Chandells out of Pueblo, Colorado recorded two tracks in the Norman Petty studio in the summer of 1966. Members in that session included Dave McBee, Marty Spritzer and Gus Trujillo (perhaps others). 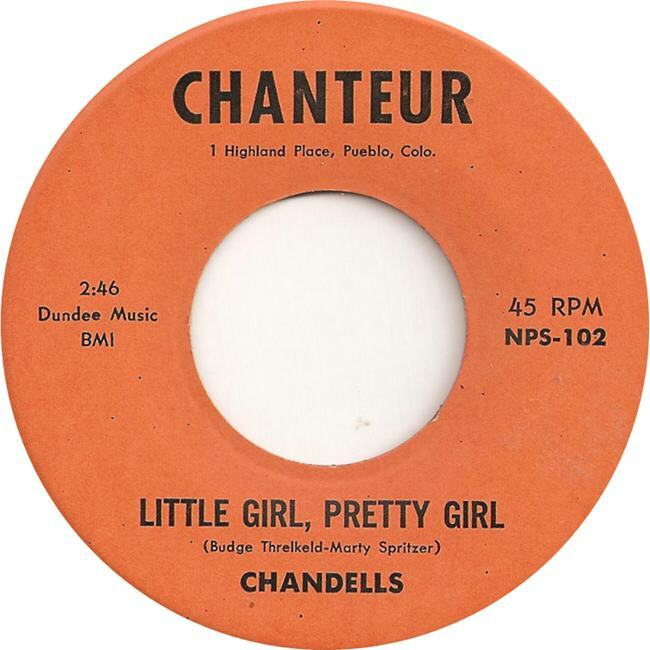 Click on the image below to read Lisa Wheeler’s Post on Pueblo’s Chandells. Songs were “We Are The Ones” b/w “Little Girl, Pretty Girl”. Norm Petty accompanied the group on organ during this session. This Pueblo group was fronted by Eddy De Silva who would later migrate to New Jersey fronting a group called “The Shadows”. 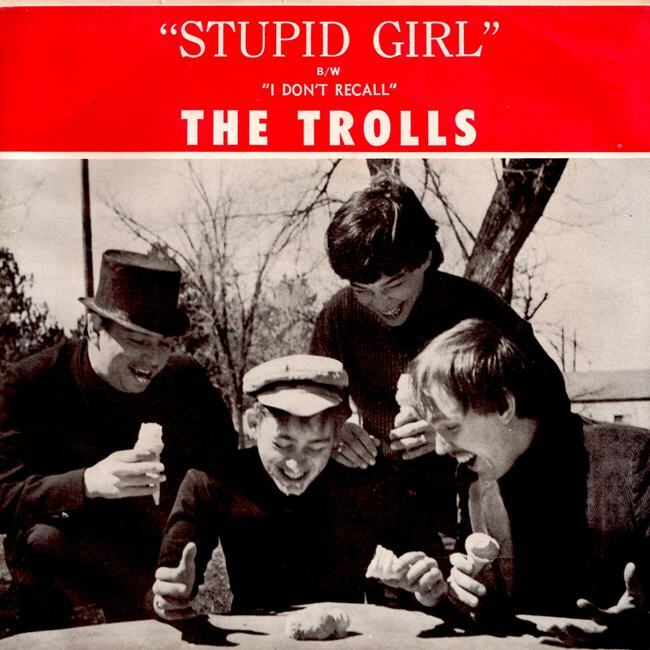 Their one single “My Girl” b/w “I Don’t Love You Anymore” was recorded in Clovis in 1962 but released in 1964. Guys and Doll were from Pueblo, Colorado including Angelo Rotondo, Claudia Rotondo and Rick Witcowich. 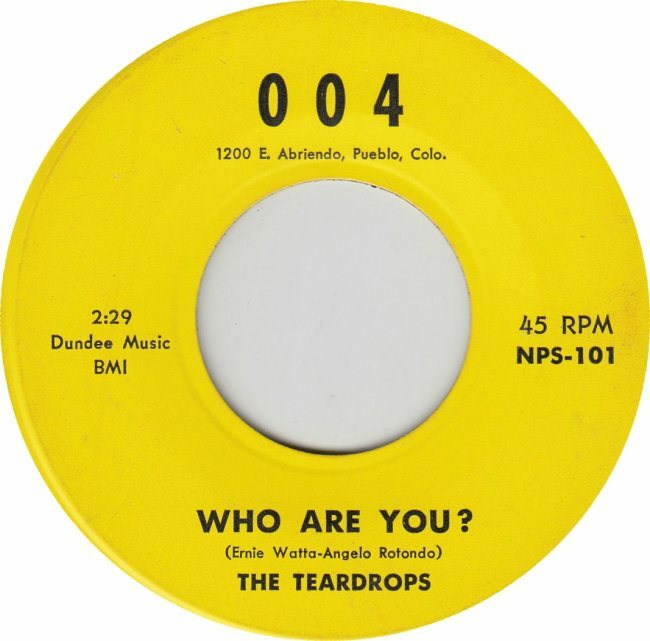 Rick and Angelo had previously been with Pueblo’s “Teardrops”. Their single released on ARC Rccords #90 was recorded in Clovis in 1970. Rick later joined a group called “Loose Change” and Angelo joined a country combo “The Sundowners” and then a polka group “The Chuck Spurlock Band”. Click on the photo of Guys and Doll below to read Lisa Wheeler’s account of this Pueblo trio. 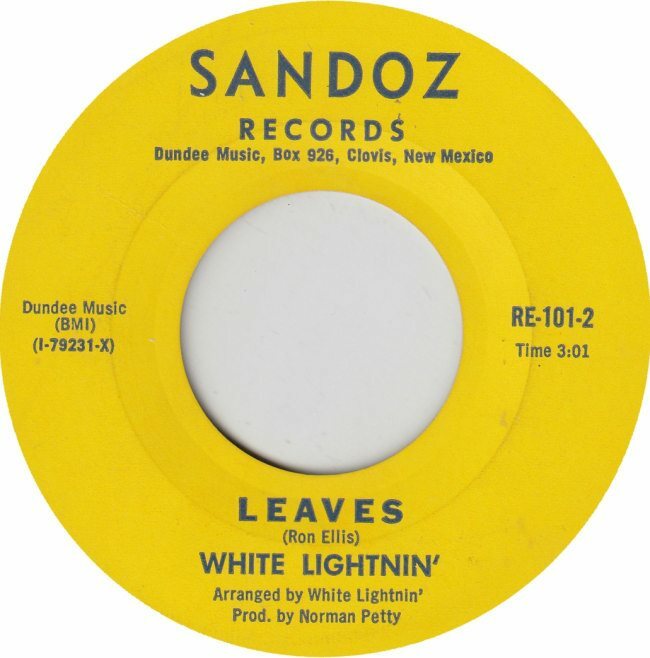 Sweet Leaf out of Pueblo, Colorado recorded at the Norman Petty studio in 1975. Members were Steve Calloway, Calvin Drum, Dave Cirulio, Leon Salazar and Steve Johansen. Click on the image below to read Lisa Wheeler’s account of “The Teardrops” on her Blog site “Pueblo City Limits”. 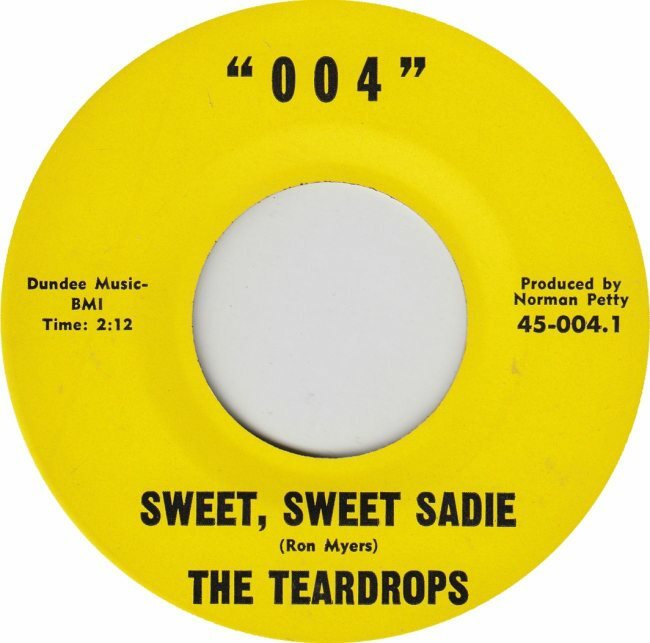 The Teardrops were from Pueblo, Colorado joining several Pueblo groups who made their way to Clovis, New Mexico, cutting four tracks with Norman Petty. first trip was in the Spring of 1966 and the second in the Summer of the same year. 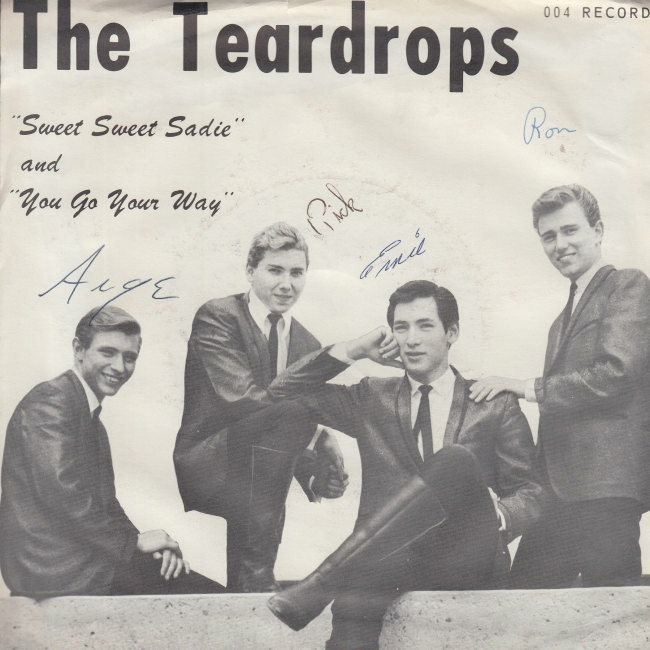 Teardrops at the sessions were Angelo Rotondo and Rick Witcowich both later with “Guys and Doll”, Ernie Watta and Mike Elias. 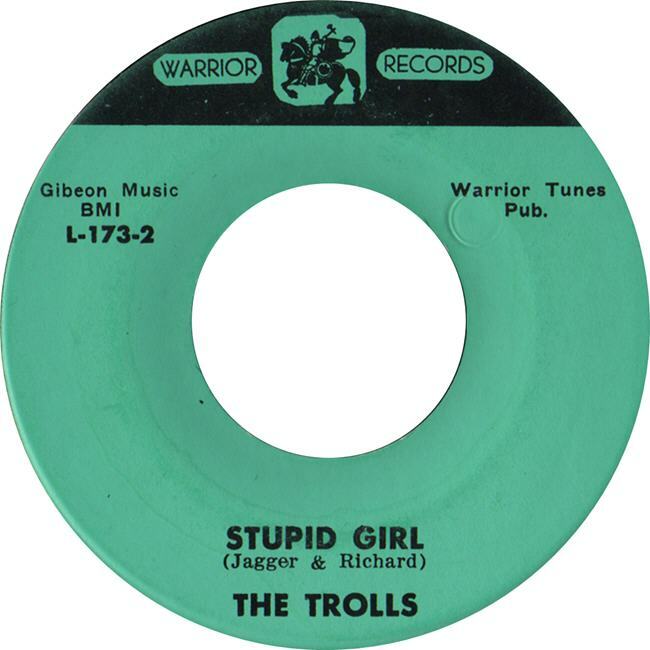 Pueblo’s Trolls recorded two tracks with Norman Petty in November of 1966. Members in the session were Monty Baker (deceased), Fred Brescher, Richard Gonzalez, Doug Rymerson and Phil Head. 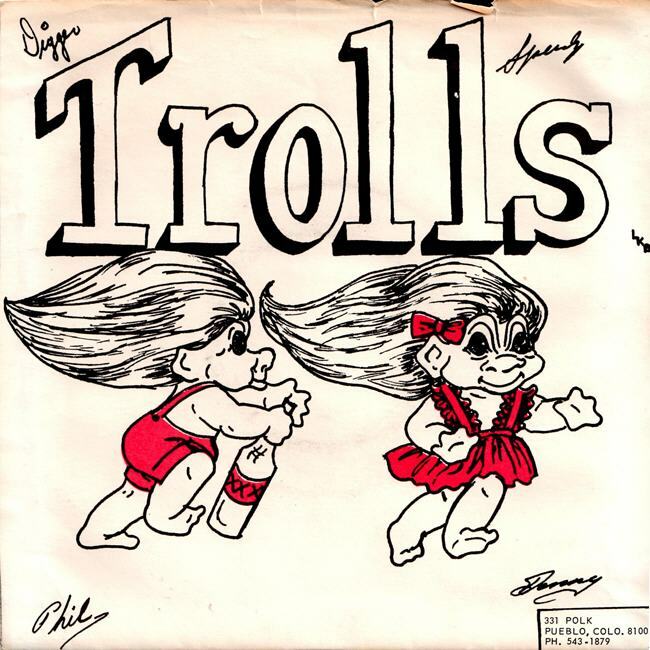 Click on the image below to read Lisa Wheeler’s Post on Pueblo’s Trolls. Click here to read Lisa Wheeler’s interview with White Lightnin band member Ron Ellis. 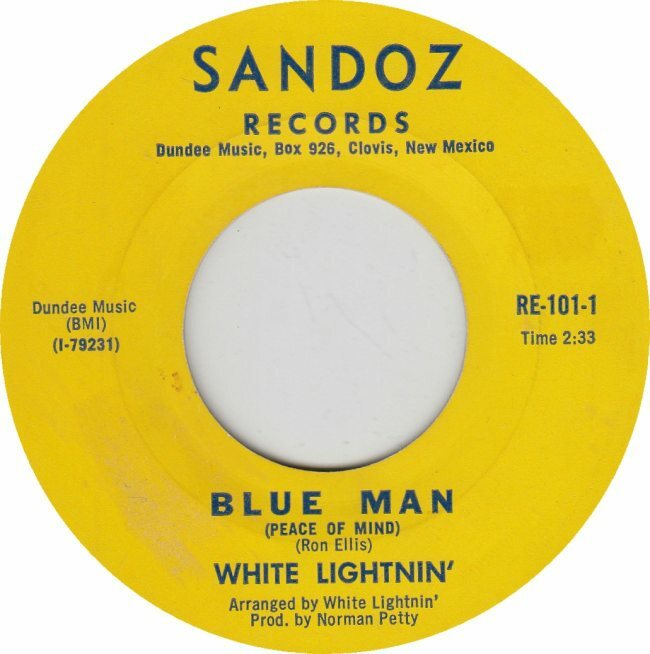 White Lightnin’ from Pueblo, Colorado recorded with Petty in 1969. Other members included brother Joe Ellis, Richard Gonzalez (from “The Trolls”) and Leroy Gonzalez. Gary Christopher was from Denver and he also recorded as “Gary Guillot”. He recorded in Clovis under both names with Norman Petty producing. Frankie Rino and the Squires recorded in Clovis and 1965 cutting two unreleased tracks. One of these is being included on the Nor Va Jak CD shown below. Frankie told my friend Larry Higgins from Freddie and the Hitchhikers that “The Squires” were his group after first performing with “The Checkmates” in Denver. The one-time Denver police officer would then work with a group called “The Innovations” who would accompany him to Las Vegas for an extended stay. 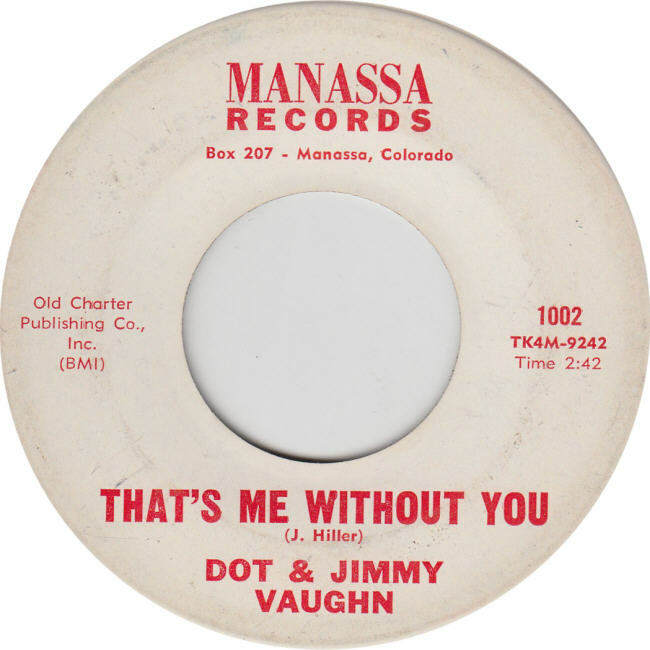 His two tracks recorded in Clovis but not released were “Maybe The Last Time” and “We Belong Together” recorded in November of 1965. Jack Herbst was from Greeley, Colorado and fronted a band called “The Night Caps” with Carl Meyer Jr., Larry Roth and Walt Wiley. 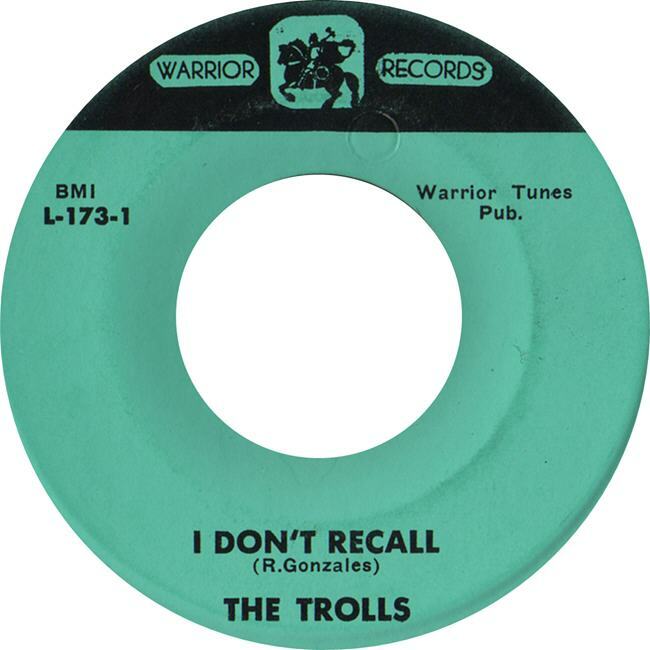 The group was not credited on the single. Herbst cut two tracks at the Clovis, New Mexico studio with The Nite Caps in August of 1962. He returned in the Spring of 1963 cutting three additional tracks with a band called “Larry Bell and the Continentals” none of which were released. 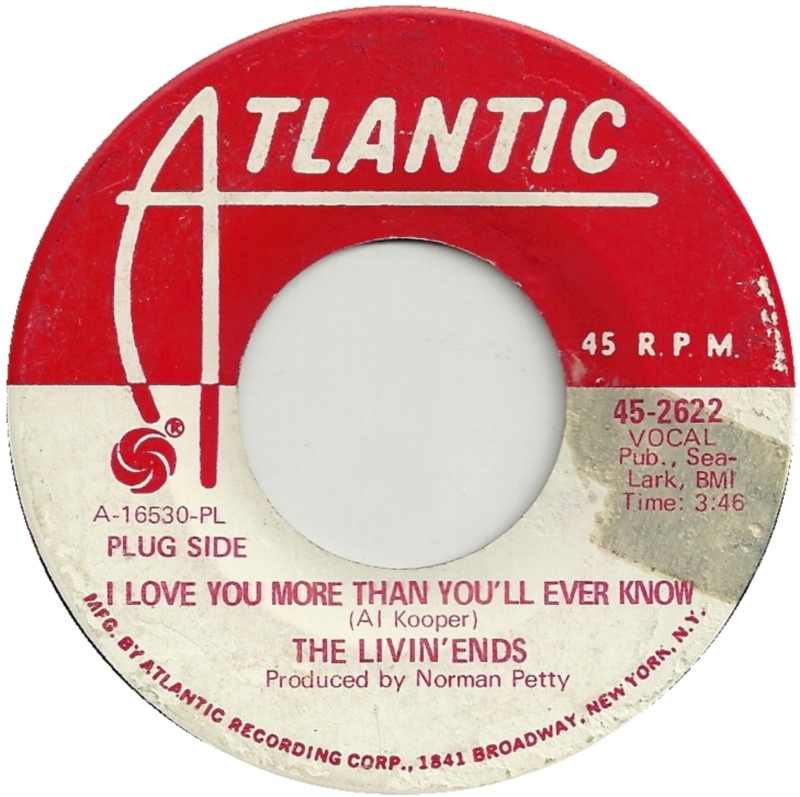 Unreleased tracks “Pebbles Brook”, “Lovers Keepers Losers Weepers” and “Hurt Yourself” with Larry Bell and the Continentals. Four Colorado groups are included on the Nor Va Jak CD release “Vault Series 1965-1969 Volume 3”. Click on the image below to visit the CD page.